Dolphin fighter O’Barry calls Zoo Duisburg (Germany): “the largest dolphin cemetery in the world”!! Prominent dolphin guard Richard O’Barry has dubbed the Duisburg Zoo the “largest dolphin cemetery in the world”. In total, around 150 people protest against the rearing and keeping of marine mammals in the Duisburg Zoo on Friday noon. The words that dolphin guard Richard O’Barry had chosen were harsh and ruthless: “The Duisburg Zoo is the largest dolphin cemetery in the world,” the 72-year-old American said Friday morning at the press conference at the Maritim Hotel in Düsseldorf, before joining the demonstration in front of the entrance to the Duisburg zoo, which takes place at Mülheimer Straße. In the afternoon, about 150 animal rights activists from Bonn, Leverkusen and even from the Netherlands demonstrate in order to shake up the zoo visitors and to buy a ticket for the dolphinarium. O’Barry meanwhile runs around with his iPad, filming the whole scene, to put the impressions directly into the net. That’s what demos look like in times of Facebook. In 20 years, 15 animals are said to have died! Ric O’Barry, who became the critic of the Delfin attitude after the death of “Flipper” and whose eco-thriller “The Cove” won an Oscar, came to NRW (North Rhine Westfallen, a country in Germany with 17.8 million inhabitants) at the invitation of Jürgen Ortmüller. Ortmüller fights for a long time with his “whales and dolphin protection forum” (WDSF) against the attitude of the sea mammals in zoo. 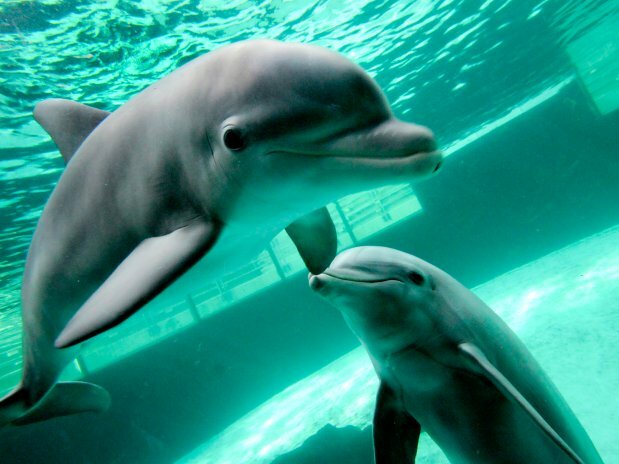 With some success, as some zoos no longer show their visitors dolphins. The criticism of Ortmüller is confirmed by information from the Ministry of the Environment, which had claimed its association under the Environmental Information Act (UIG). In the past 20 years, a total of 15 dolphins have died: “And according to a report from the “Spiegel” in 1997, there were 47 deaths in the period before,” said Ortmüller. O’Barry’s appeal: “Don`t buy tickets for dolphin shows”. Incidentally, the Zoo Duisburg was not prepared to comment on the WAZ media group (The local newspaper, where the article came from). On July 6, the city and WDSF will face each other in front of the administrative court in Dusseldorf, because the Duisburg Zoo denies the dolphin protectors the insight into the documents related to the breeding and keeping of the dolphins.